On Monday evening, January 14, 2019, with her family by her side, the servant of God Katie (Catherine) passed away peacefully at Stonewall Hospital at the age of 87. She was a loving, caring, supportive Mom, Baba, and Great-Baba. Katie was born at home on December 8, 1931 to her parents Stefan and Ksenka Chernecki in Fraserwood, Manitoba. Katie leaves to mourn her passing, her children: Marge (Cliff), Ted (Karen), Angie (Terry), Gladys (Brian); Grandchildren: Jim (Micki), Greg (Kyla), Amanda (Bill), Travis, Ashley (Brendan), Brent (Gina), Brandon, Britney; great-grandchildren: Jax, Hannah, Morgan, Miranda, Molly, Lincoln and Aubrey; Step-great-grandchildren: Marek and Mason. Katie is also survived by her twin brother Nick (Vicki), sisters-in-law: Elizabeth Chernecki ,Anne Ponimets,and many nieces, nephews, and friends. Katie was predeceased by her husband of 61 years Michael; infant sons: Michael and James; her parents Stefan and Ksenka; Sisters: Ann (John, Mike), Mary (Mike), Nettie (Joe); Brother Paul and sister-in-law Jean. Katie worked alongside her husband Mike on their farm in Meleb, Manitoba where they raised their 4 children. Katie was an avid gardener and took great pride in her flower gardens. She enjoyed sewing, knitting, and was an amazing cook. She always made fresh breads, perogies, borscht and other traditional Ukrainian meals for the family. There were always delicious foods, canned goods and preserves, and the food always tasted better on the farm. Religion was a big part of Katie’s life. She was an active member of the Blessed Virgin Mary church in Meleb. She sang in the choir, and served as a secretary of the church and cemetery. The choir would go carolling in the area at Christmas, and took turns holding choir practices at the choir members homes. Katie loved hosting and visiting family and friends at the farm. There was always fresh baking being made, and laughter to be heard. Later in life they enjoyed watching their afternoon soap operas, and excursions to Arborg Chicken Chef for lunch. She loved to read, play board games with the family, and working on puzzles. 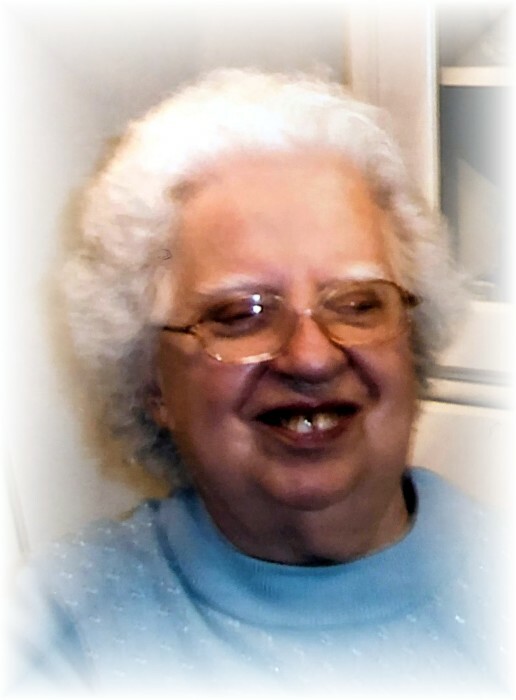 She enjoyed visits with her grandchildren and great-grandchildren and was always up for a game of cards or board games. After the passing of her dear husband Mike in 2010, Katie sold the family farm and moved into Farview Place in Teulon, Manitoba. Here she made many wonderful, caring friends. The ladies (you know who you are) enjoyed playing cards, doing puzzles, bingo nights, evening tea and socializing. The family would like to thank the nurses and doctors at Stonewall Hospital, and the EMS team for their compassionate care. Thank you to her homecare team, and to Father Darren for his visits to the hospital, and for his support to the family. Parastas funeral service will be held on January 19, 2019 at 10:00 a.m. at Sts. Peter & Paul Ukrainian Catholic Church, 390 Marion St., Winnipeg. Interment will take place at Blessed Virgin Mary Cemetery in Meleb. Pallbearers are Katie’s grandsons.